MGH_Founders2 — Linea 5, Inc. 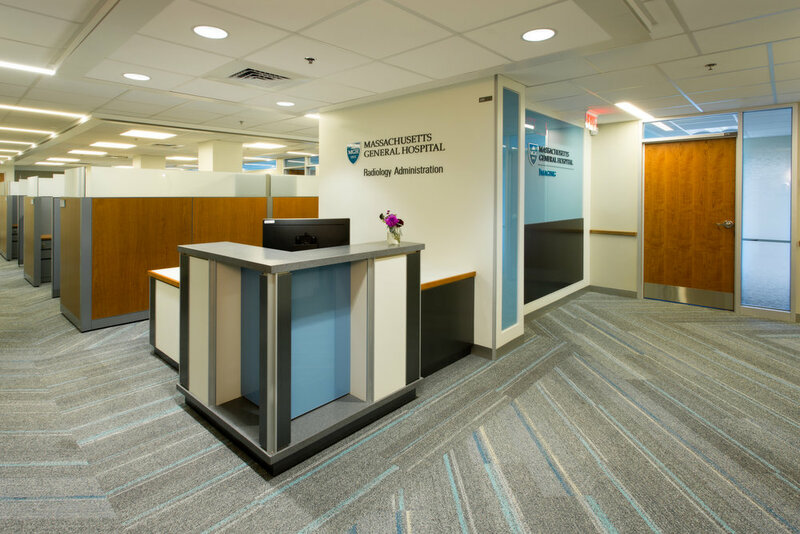 This project was a renovation of the second floor of the Founders Building for Radiology Administrative space, including a new conference center. The floor was formerly set up with a wide central corridor that separated staff. The new space was designed to co-locate staff into one shared suite by rerouting the main public corridor. Construction was completed in two phases to allow for the corridor relocation. A major addition to the floor was a large Auditorium space with full AV capabilities that can be used by department and allow for teaching conferences.